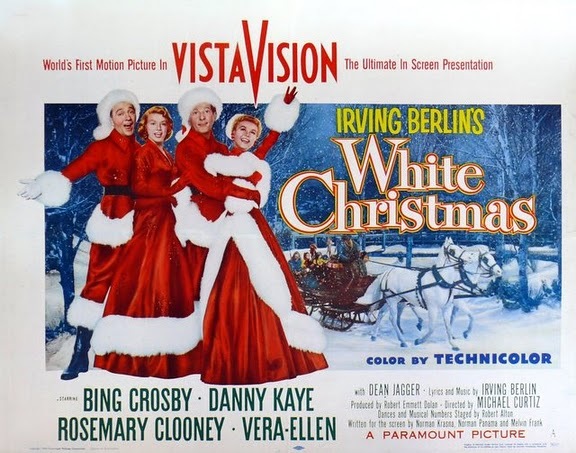 "Love, You Didn't Do Right by Me" sung by Rosemary Clooney in White Christmas. Costumes by my favorite designer, Edith Head. I think the big, glitzy brooch on the back is what makes this already great dress into something truly fabulous and memorable. It's details like that that show what a genius Edith Head was. It's a stunner, isn't it? It just draws your eyes down her back. A-mazing. And just the choice of that particular edge to her dress along the neckline and backline in that black velvet. Stunning. I really should do a whole post on WHITE CHRISTMAS since, as you pointed out, there are even more treasures in it. Even the choice of colors for Edith's costume palette are interesting...there's a lot of yellow throughout!